I am just a Training level rider, so I cannot sign up for the PhD level, can I? Yes, you can. ADU University categories are based on the Rider’s level of commitment to education and training. This is regardless of what USDF level the student is riding at. For instance, a student could commit to a PhD level while riding at Training Level one year, and commit to a PhD level the following year while riding at First Level. The PhD category may have students at every level from Training thru Grand Prix. It just depends on the level of commitment the student pledges to follow, not their riding skills - although we hope all will progress to Grand Prix one day! Can I join up in the ADU University program at any time of the year? or does it have to be at the beginning of the year? You may sign up to participate in the ADU University program at any time during the year in order to take advantage of this structured and supportive program. The tuition fee is the same no matter when you sign up for it during the year, and the tuition year will end at the end of that particular membership year. What if I have more than 1 horse that I ride? Do I have to choose just 1 horse to use for this ADU University program? No, you can ride as many different horses as you wish in order to complete the requirements of this University program. Each ride on each horse will count. What if I get into this program and find I just cannot meet my pledged level of commitment that I originally signed up for? We hope that you will commit to working at an ADU-U level that is a little higher and a little more demanding than you have ridden in the past. We want you to say that THIS is the year that you are going to really dedicate and concentrate on improving your dressage skills and progressing through a level. But if you realize that you have truly committed to too high of a level for your circumstances, you may work with your mentor and the Dean and drop down to a level that you feel you are able to accomplish, and finish out the year at that level. No problem. If you have to drop out completely, you may do so, but tuition will not be refunded. You are welcomed to sign up and start over again in this program at any time in the future to participate again when your circumstances allow it. For the record, there will be no publication of any ADU University “flunkie” or “drop out” list. And everyone who signs up will still be honored as a participant at the end of the year. I don’t have a covered arena, so what if I cannot ride during a week because of rain? or what if I am gone on vacation or on business for a week and cannot ride, so cannot meet the requirements that week? Extreme weather, vacations, business trips, injuries etc. 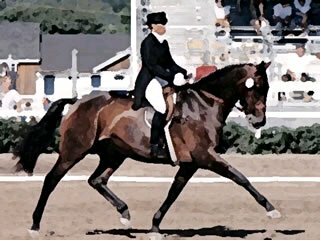 There will truly be times when there might be a week now and then that it is impossible to fulfill the dressage criteria for reasons outside of the student’s control. This can temporarily interfere with your riding requirements. Just record these problems in your journal and on your evaluation reports. Some can and should be planned around with extra effort on the student’s part. As far as weather goes, unless it is extreme and dangerous, then hot, cold, wind, drizzle are no excuse not to ride. You should, in fact, condition yourself and your horse to ride under less than perfect weather conditions so that when you go to a clinic or show and you face this kind of weather, you are prepared. You can also make arrangements to occasionally trailer to a covered arena to ride during unfavorable weather. This will benefit horse and rider anyway, as this will give you the chance to practice in an unfamiliar environment. As far as absence during a week goes (vacation, business, etc), if you know you are going to be gone for a week, plan on riding more during the weeks before and the weeks after in order to make up for the lost time. Keep in mind that the ADU-U requirements are for an “average” number that is eventually spread out over a year’s time. So variations in the numbers completed per individual week can still average out over time to meet the ADU University requirements. What if my horse gets injured or sick and I temporarily cannot ride him? If you cannot ride your own horse due to injury or illness, you should attempt to make arrangements to ride someone else’s horse during the time your horse is off. For instance, this could be a friend’s horse, or a lesson horse at an instructor’s barn, or temporarily lease or half lease a horse. 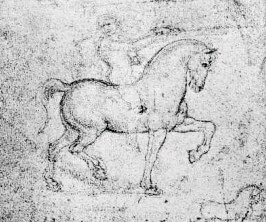 The experience of riding on an unfamiliar horse is of benefit to your learning process, especially if that horse is already trained to a higher level than you are. Take advantage of this time to find other horses to ride for the experience. Again, keep in mind that the ADU-U requirements are for an “average” number spread out over a year’s time. So variations in the numbers completed per individual week can still average out over time to meet the ADU University requirements. What if I am physically injured, sick, or am having a medical procedure done, and I temporarily cannot ride? If you cannot physically ride due to your own injury, illness, or procedure, you should attempt to perform additional non-riding activities during this time. You can take advantage of this “down time” to read more dressage magazines, books, on-line information, watch DVDs, watch other riders’ lessons, clinics, volunteer at ADU dressage educational events, etc. In most cases, your dressage education does not have to stop because you are injured, ill, or having a medical procedure done. Again, you can also make up for lost time by riding more during the weeks after you have regained your physical abilities. Can I substitute criteria listed as “Continuing Education” for the criteria I am required to do for my University level? “Continuing Education” can be employed at all levels of ADU University by those who wish to go above and beyond the minimum requirements already established for a level. “Continuing Education” is not meant to be a crutch to use if the student is truly not dedicating themselves to completing the criteria of the level to which they've pledged. It is meant to enhance their education and training as a standalone level or a level additional to another level, not regularly be substituted for the criteria that is listed as required at a different level. On a case by case basis, certain activities may be substituted for one of the required criteria of another level, with restrictions. In general, the substituted activity must be a higher rated activity, or require more time and effort than the activity that was originally required at the student’s University level. For an example of what might be substituted for what, the student may substitute riding in more USDF recognized shows in place of riding in the ADU Practice Shows. Or for another example, if a student participates in the USDF Region 9 Adult Camp, then that may be substituted for the requirement of participating in an ADU Workshop or clinic. Please contact the ADU University Dean for advice in the matter of substitutions.